Purebond formaldehyde-free plywood technology in a panel that is unique and full of character. Works with any style. Five-foot-wide panels that dramatically improve yield and reduce labor costs. Constructed with a smooth, void-less MDF crossband that adds lightweight strength and surface quality. Paneling with a fine, light grain pattern and consistent color. Great workability makes it a versatile choice for paneling, furniture and cabinet applications. Created with HPVA CC rotary-sliced natural maple panels. A soy-based, solar-reflective roof coating that can be applied in one coat over metal roof assemblies, single-ply membranes including thermoplastic polyolefin, aged Hypalon, aged PVC, and spray polyurethane foam. Low VOCs, environmentally friendly, UV resistant, with good elongation properties and low permeability. Earned ENERGY STAR approval. The only soy-based roof coating to carry a UL Class “A” fire rating. New eurostyle panel that provides a green edge to builders on LEED® projects. Pre-primed, ready-to-use hardwood plywood panels. Environmentally certified decorative panels and veneered particleboard that carries the Forest Stewardship Council™ (FSC) ecolabel and qualifies toward the US Green Building Council LEED Green Building System requirements. Premium veneer core hardwood plywood produced domestically on calibrated, veneer core blanks. Use for cabinetry and furniture. Produced with Weyerhaeuser in a range of exclusive looks featuring Lyptus veneers. Uses a smooth hardwood poplar crossbank under the face and back of the panel for a clean and even finish. 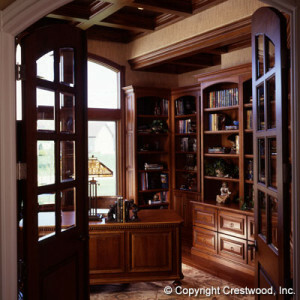 The perfect solution for curved columns, arches, cabinetry and furniture in residential and commercial settings. Rhino offers spray foam insulation products under the BioBased Insulation® and DuraTite™ brands. 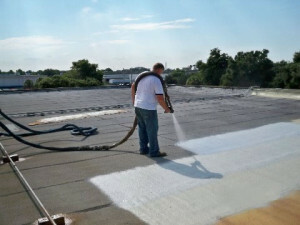 The DuraTite product line also includes spray foam roofing systems. High-density polyurethane foam sealants are available in the BioSeal™ product line. All foam products must be applied by a qualified contractor. Visit http://biobased.rhinolinings.com to locate a professional applicator. Daily expansion and contraction is critical to roof performance and longevity. As a roof ages, oil dries out causing asphalt roof shingles to become brittle. This slowly breaks the roof apart, similar to the way a pothole develops on a road. Roof Maxx is a scientifically formulated treatment, derived from soybean oil (methyl ester.) 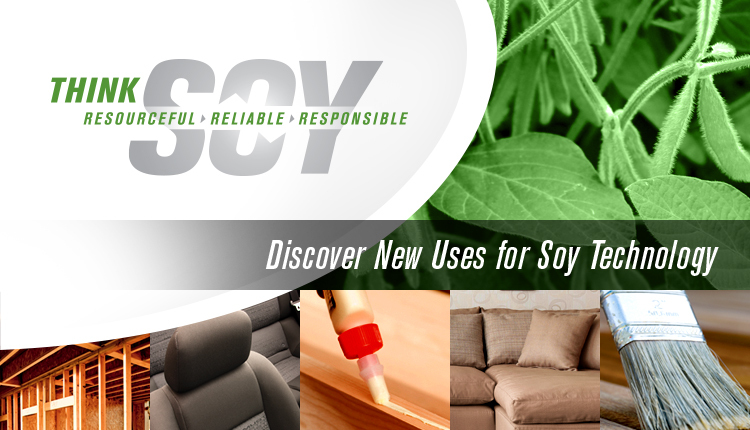 Soy-Fusion Technology enables millions of microbeads of soybean oil to quickly penetrate brittle asphalt shingles. This rejuvenates the asphalt, restoring flexibility, to facilitate daily expansion and contraction. Treatment with Roof Maxx is 100% safe for people, pets, property and the environment. The company says work is completed in an hour, with no mess, for a fraction of the cost of a new roof. 10 VOC-free factory finish stock stain colors with small minimums. Combines bamboo face veneers with Purebond formaldehyde-free hardwood plywood technology. Clear, stained and primed factory finishes in one produce collection.